41,72 € HT41,72 € tax incl. Nera a maniche corte Giacca - Colletto alla coreana - Nascosto pressione tasti - spacchi laterali - Dry Back Up - Ricamo "R" in fondo gauche.Polyester 65% cotone e 35%. Colore: nero con cuciture Taupe. 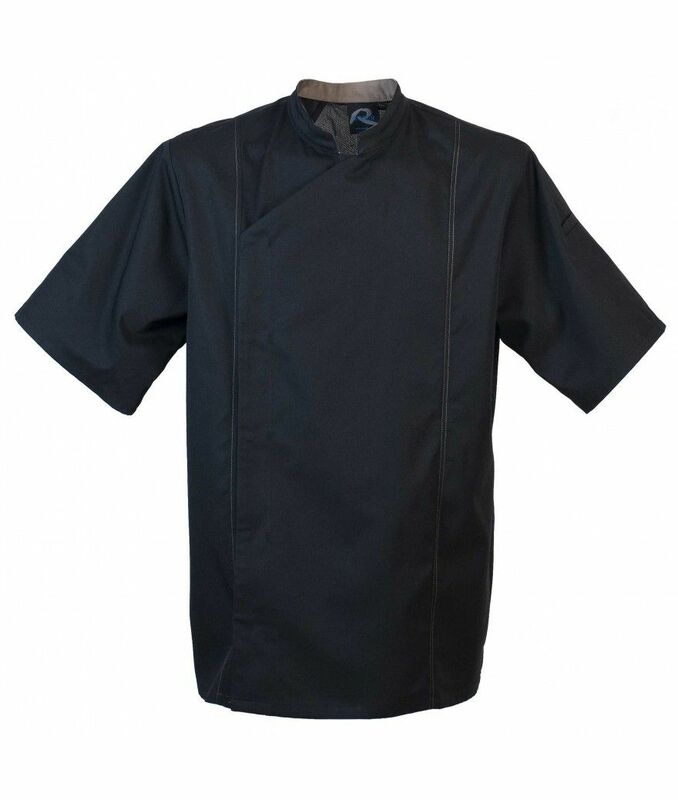 Black Short Sleeve Jacket - Mandarin collar - Hidden buttons pressure - side slits - Dry Back Up - Embroidery "R" at the bottom gauche.Polyester 65% cotton and 35%. Poly / cotton last generation that can structure the garment.